Orlando Limo Services, FT Lauderdale Shuttle & Limo Service, VIP EXECUCAR Luxury transportation provides best stretch limo rental, Hummer Limos,corporate, business, birthday, sporting, night out on the town, Black Cadillac/Suburban,discount limousines, airport limo car service, airport bus charter,limo party bus, party limo bus, charter coaches and SUV's Limo South Beach and around Palm Beach county.Our global charter limo rental provides limousines and SUV Vehicles services in over 300 cities, 1000 airports across the world. Experience the Best in Airport Luxury car transportation! Transportation Service provider for Luxury Hotels in Palm Beach, Delray Beach, WPB, PBI, PB with a new concept in Luxury Sedan Transportation has just arrived to West Palm Beach with our new amazing 2014 Cadillac Escalade super stretch limo for 10 to 20 passengers for your travel party,wedding,business in Orlando,West Palm Beach, Fort Lauderdale and Miami FL; Book your transportation in Central and South Florida now : 1-844- 355-5467 - 1844-FL-LIMOS. Find and Reserve an airport shuttle or private car service from Fort Lauderdale Hollywood Airport, Miami Beach City,Miami International Airport, West Palm Beach Airport or around the city!!. Our Service is professional, dependable and reliable to/from Miami-Fort lauderdale, Port Canaveral, Marathon Airport, Key West Airport,Port Everglades, Port of Miami. Ask us about our Orlando Airport Town Car Service, airport Limousinen, sedan transportation, black car,Lincoln Town car, Vero Beach, Wellington,Airport Car Service in Naples,FL,Palm Beach Gardens Executive car service,Luxury Bus rental, private luxury Sedan, limo service from airport; Orlando Fl, Tampa, Fl , North Miami Beach and Naples Airport.Reserve a luxury sedan service, Van or black car to and from FLL or around town!.Known as the first transportation company to offer sedan, finest van-sprinter (SATELITE LIVE TV) , Home/Hotel Airport Rides in the Central Florida, MCO Orlando, Reserve your town car for your next business trip and see why our clients refuse to go to another Limo Company that don't offer all new technology;not only keeps operators ready to meet their clients' needs, it also helps them keep their business organized and efficient. Need West Palm Beach Limo service? 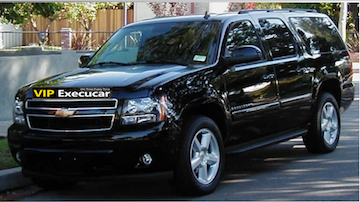 VIP Execucar Limo service is all you need. Call limo rental airport limousine services reservation today on (561) 208-3831 to get an instant executive free limousine quote online.Offer scheduled for black cars, buses by-reservation between Palm Beach and Boca Raton airport and towns in Palm Beach county and Treasure Coast in Vero Beach, as well all private airports in South Florida. We will be ready at your door to chauffeur you back to the FLL,PBI,MIA Airport. Provides chauffeured ground transportation services including stretch limousine, SUV, Hummer, or Town Car to the airport, to personal events. Fort Lauderdale Black Car service, MIAMI/FT.LAUDERDALE Executive Limo Service, Limo Car Service in Miami Beach and Miami Airport, Palm Beach and Palm Beach Airport as well luxury chauffeured black car/limo rental is open 24/7/365 days. Reviews on Executive transportation, limo service in Boynton Beach, Deerfield Beach Florida, and airport shuttle to or from the surrounding airports in South Florida on VIP EXECUCAR. 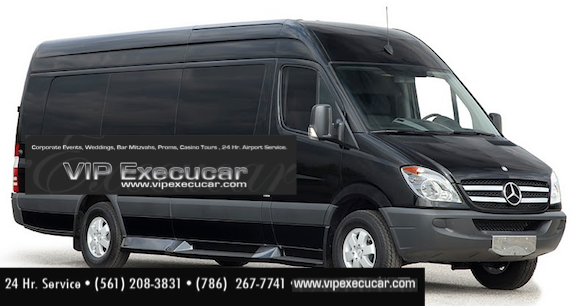 For your next corporate meeting, to and from any airport,rent a motor coach from VIP Execucar Charter Bus Services of West Palm Beach, with affordable rates we are your charter limo bus solution. LIMOUSINE PRICES CHANGE SEASONAL !! Aventura, FL 33180 and Aventura Limousine & Airport Transportation Service. Fort Lauderdale Executive Airport (FXE) to/from Pompano Air Park (KPMP) Airport Car Service. Miami Dade, Miami International Airport to/from Port of Miami Transfers. Find Affordable Car and Limo services in Fort Lauderdale Fl, West Palm Beach Airport, Palm Beach Limousine Rental, FLL Airport Towncar, Fort Lauderdale Corporate Transportation, Port Everglades low rate limo service, Limo cost to Port Everglades from Delray,Port Canaveral and Port Of Miami. PROM & GRADUATION SERVICES We can help you make your prom unforgettable from Orlando to any mayor city in Florida.VIP EXECUCAR Limo FL is an affordable South Florida limo servicen that guarantees the best limousine experience in Orlando, Fl with cheapest rates. VIP EXECUCAR my Private Limousine Company has been providing transportation services since 2000. Our reputation is built one customer at a time. We can serve even last minute Limo Reservations or arrivals, and will make every effort to accommodate your last minute transportation service needs are not a problem, call us at 561-208-3831. Airport Transfer, Las Minute Rides from The Airport need a lift? We've got your covered. This is a list of smaller local towns that surround Windermere, FL. If you're planning a party bus trip or exploring the local area, make sure you check out some of these places to get a feel for the surrounding community driving our luxury sedan limo to-from Altamonte Springs, Apopka, Auburndale, Bay Lake, Belle Isle, Cape Canaveral, Casselberry, Clermont, Cocoa, Cocoa Beach, Crestview, Davenport, Debary, Deltona, Edgewood, Groveland, Haines City, Kissimmee, Lake Alfred, Orlando Lake Buena Vista, Lake Butler, Lake Helen, Lakeland, Lake Mary, Lake Wales, Leesburg, Longwood, Maitland, Melbourne, Merritt Island, Midway, Minneola, Mount Dora, New Smyrna Beach, Oak Hill, Oakland, Oakland Park, Ocoee, Orange City, Orlando, Orlando International Airport, Oviedo, Palm Bay, Plant City, Poinciana, Port ST.Lucie,Rockledge, Saint Cloud, Sanford, Sanford Airport, Satellite Beach, Titusville, Umatilla, Vero Beach fl,Webster, West Melbourne, Wildwood, Windermere, Winter Garden, Winter Haven, Winter Park, Winter Springs. 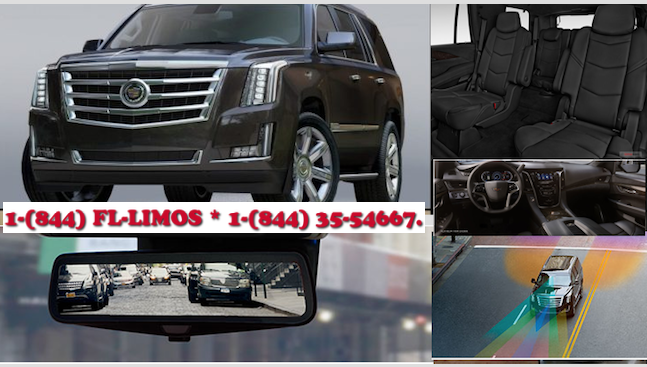 SUV Rental · Lincoln Black Car & Limousines · Shuttle buses · Public Transportation. Ground Transportation. Palm Beach International Airport has a variety of Ground Transportation . All ground transportation services are located in West Palm Beach Int Airport on Level one for shuttle. Airport Transportation and town car service are affordable when to call Vip Execucar Limo, service is available 24/7 when you call (561) 208-3831 for Palm Beach county, Broward County, Miami Dade county and Monroe County Phone: (786) 267-7741. Best Limousine service in West Palm Beach, we are an unique full service limo and transportation provider with a commitment to provide quality and customer service. Finding the best airport shuttle service in West Palm Beach, Fort Lauderdale,Miami or netionwide is easy with vipexecucar.com! Call us today and inquire about our affordable airport transportation to we service to PBI, MIA, FLL, JFK, LAX, SAN and more. Let our professional Chauffeur coordinate your luxury private airport car service, charter van, Airport Shuttle Bus to-and-from Palm Beach International Airport - PBI.to any International Airport in the USA. 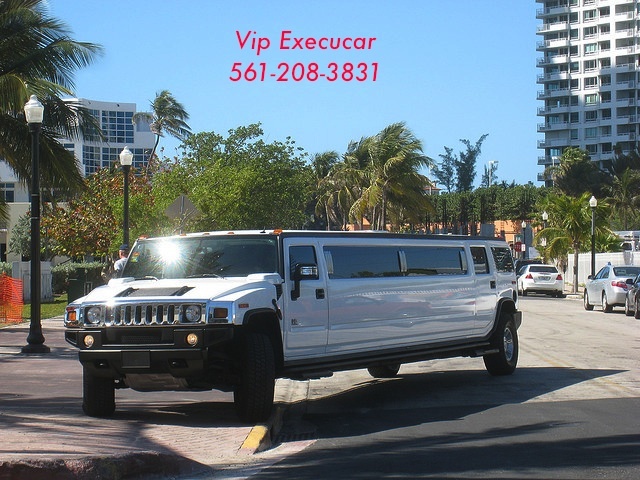 Miami Limo Reservations, book your limo online and save time and money, vipexecuar.com offers a complete fleet of limos, buses, sedans, vans & more. 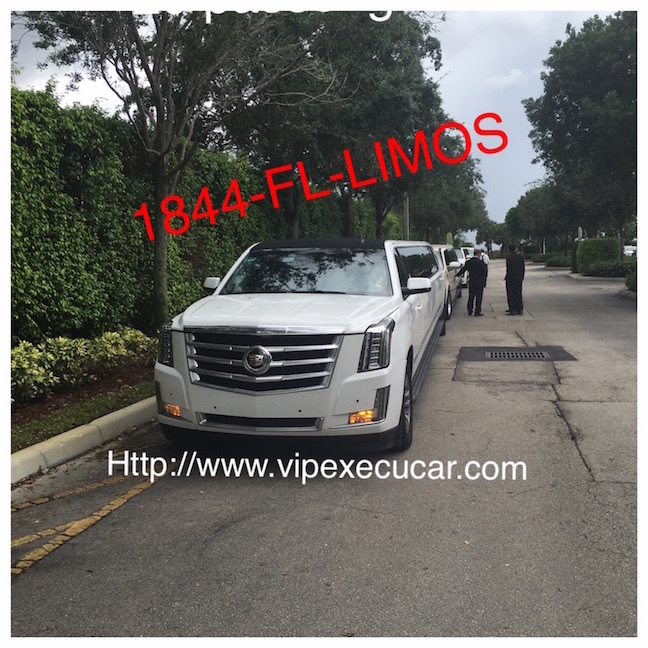 Vipexecucar Limo Service provides West Palm Beach Limo service, Fort Lauderdale Limo Service, Boca Raton Limo Service, Miami Limo service and all sarrounding areas with professional limo service and we are conveniently located from just few minutes from all airports, PBI Airport, MIA Airport. 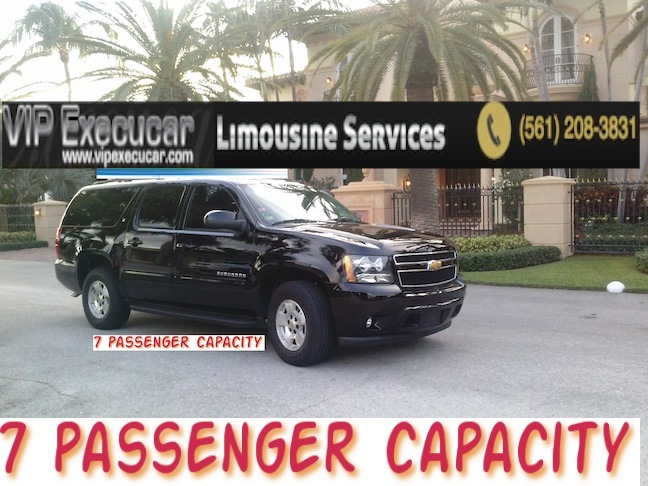 We are one of the top limousine and private car services companies in West Palm Beach, featuring Airport Car Service, SUV Suburban, SUV Navigators, Lincolns Town Cars, Party Bus, stretch lincoln limousines serving the entire Palm Beach area. Palm Beach reservation Limousine services from/to Fort Lauderdale Airport, Miami and West Palm Beach is affordable with VipEcecucar Limo. Our Palm Beach Limousine & Car Services in West Palm Beach are 24/7 open service. We Provide Limousine services and car services to West Palm Beach, Highland Beach, Key West, Aventura, Miami, Fort Lauderdale and Miami. Vipexecucar Palm Beach Limo has an amazing fleet of new luxury car sedans, SUVs, tour buses, rental motor coaches and luxury Motor coaches. For the best prices on car sedans, buses or limousines in West Palm Beach, Miami, Boca Raton, Key West and Fort Lauderdale call Vip-Execucar tour bus. Serving the entire South Florida area, Call Vipexecucar especialize in Airport Shuttle, to/from West Palm Beach, Fort lauderdale and Miami Airports as well Private, Home Travelers,Luxury and Corporate. Home Local or worlwide Chauffeur Services in a hurry to the airport or special meeting, call Boca Raton Airport Transportation & Town car service 561-208-3831 24hrs/7 days. What can you expect from chauffeur services in West Palm ?,Vip Execucar limo is the preferred choice for Limousine and car service in West Palm Beach, Miami, Boca Raton, Fort Lauderdale, Key West and Vero Beach. For more information on availability, airport limousine service's reservation, quote, rates, packages, save time and money with the lowest rate call us today !.Ride comfortably in the care of the most professional chauffeurs in the industry. To make a reservation call us at 1-561-208-3831. We're available around the clock to reserve your ground transportation. Limousine car services for business executives, celebrities and leisure travellers to South Forida looking for elite transportation have the option of luxury car rentals, Limousine services including a chauffeur service. Boasting a fleet of top class vehicles and professional chauffeurs, our Car Rental agencies offer high quality and executive style luxury transport with an emphasis on service, safety and exclusivity.